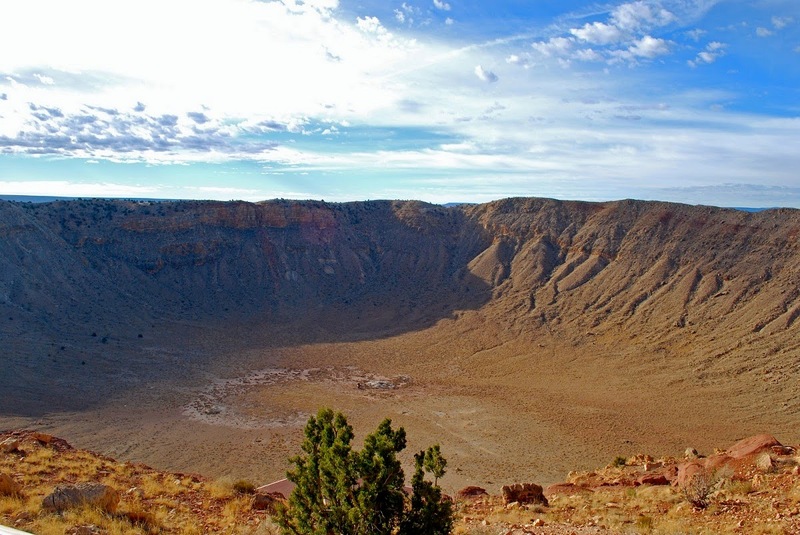 Arizona's Meteor Crater is a meteorite impact crater located near Winslow in the northern Arizona in United States. About 50,000 years ago, an asteroid about 80 feet in diameter travelled at 26,000 miles per hour and impacted the Earth. A 570 feet deep and 4,100 feet across crater was formed as a result of impact. 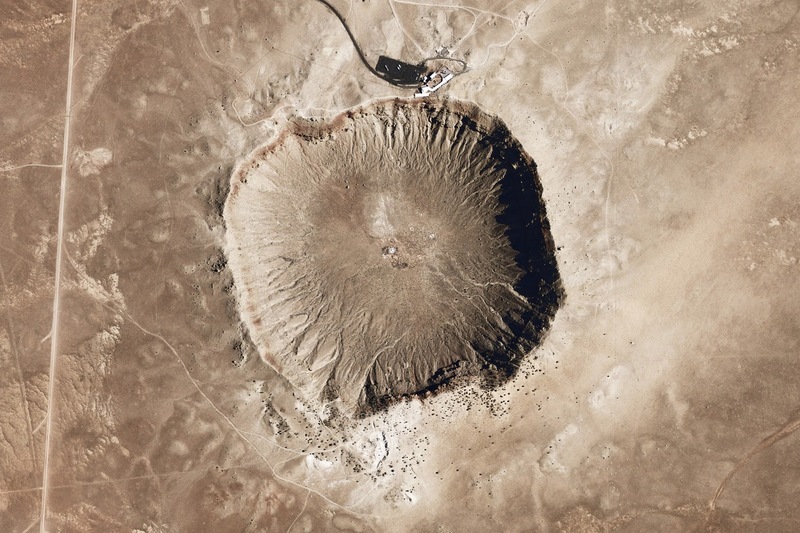 The Meteor Crater was the first crater to be identified as an impact crater and it is the best preserved crater on Earth. The origin of this crater has been a source of controversy for many years. At the time of its creation the area around the Arizona crater would have been an open grassland with occasional stands of trees. The wooly mammoth, giant ground sloth, and perhaps a camel or two would have been the main inhabitants of the area. The site was formerly known as the Canyon Diablo Crater and fragments of the meteorite are officially called the Canyon Diablo Meteorite. Scientists refer to the crater as Barringer Crater in honor of Daniel Barringer, who was first to suggest that it was produced by meteorite impact.